Everything You Need to Know For November Underwater Photos! November 8-14th is our next round of Underwater Photos! We love gifting our families with underwater photos of their swimmers! Here's everything you need to know! We take underwater photos during regular classes November 8th-14th! If you are absent during photo week, you can get a photo retaken during the photo makeup session Saturday Nov 17th (1PM at Chesterfield, 5PM at Brentwood). When will pictures be posted? We will be posting photos November 28th to our Facebook page! Albums of locations/days will be shared throughout the day! Photos will posted to our Facebook album on and sorted into two albums, Chesterfield and Brentwood. Then you can scroll through the album to find your swimmer! We're giving away ONE MONTH OF FREE SWIM! 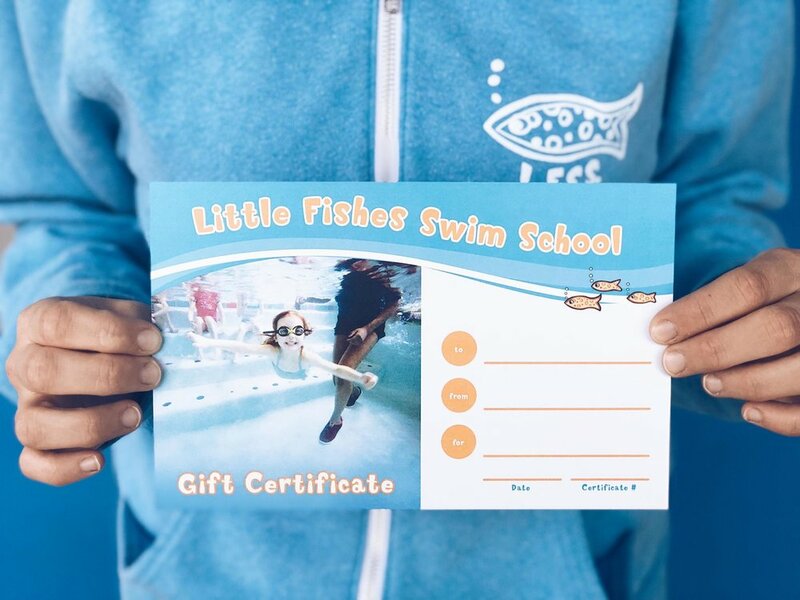 Get the most comments on your swimmers' underwater photo to win one month of free swim lessons at Little Fishes AND a prize pack full of fun toys for your swimmer! Comments must be made on the original photo to qualify. Winner will be announced December 5th on our Facebook page and will be notified before posting. This holiday season tell grandparents to skip the toys, give them a better gift option! Gift cards available online!